Five people were arrested on Tuesday after a plot to sell fake basketball sneakers was discovered by federal authorities. The report by NJ.com reveals that Miyuki Suen, Jian Min Huang, Kin Lui Chen, Songhua Qu, and Fangrang Qu, all from New York, imported $70 million worth of fake Air Jordan sneakers from China into Port Newark. The five of them are now facing charges that could land them in jail for 20 years. Between 2016 and 2018, the five scammers are accused of shipping 42 containers containing an estimated 380,000 pairs of kicks. 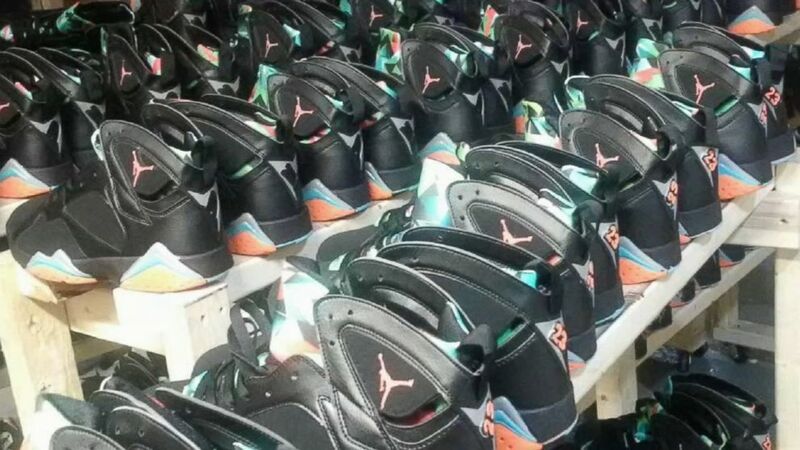 These rip off Retro Jays were allegedly sold across the United States. The sneakers as they were shipped were generic, but the design of the sneakers authorities say resembled that of the Air Jordan sneakers. According to the report, the designing of the shoe typically comes after the shipment is made to the States. “It is not an uncommon scam,” officials told the online news outlet. Shoes, handbags and other consumer goods are often ripped off and sold throughout the United States, it just so happens that these five were caught in the act. This past April, a scammer in Oregon was sentenced to four months in prison along with a $100,000 payment to Nike for selling fake sneakers. A report by Oregon Live claims that James Pepion made millions selling fake sneakers that he received from sketchy retailers in China. After several complaints from buyers to Nike, an investigation ensued that led to a raid of Pepion’s house where feds claimed more than 600 pairs of fake shoes.